The Dallas Arboretum announces the 2014 Fall Adult Programs, sponsored by HD Metal Prints. I love that the arboretum offers all of these great classes! 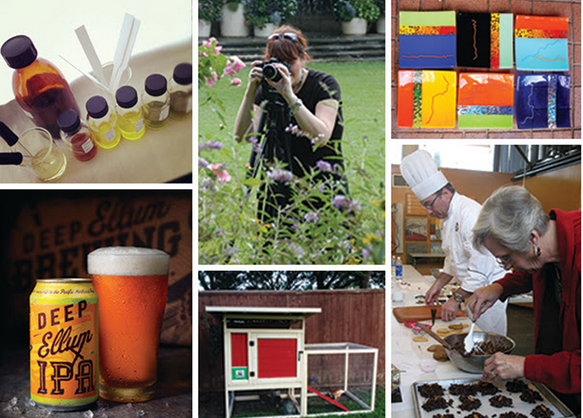 Classes include horticulture, landscape and floral design, photography, art, urban chicken ranching and much more. Class styles vary from demonstration and lecture to hands-on formats. Some programs combine styles to maximize learning. Classes start at $30 for non-members and $27 for members. Prices vary depending on the topic for each class and are subject to availability. To take advantage of special member savings and to learn more about different membership packages available, Click here. The cost of each ticket includes parking and general garden admission. 10/23 Craft Beer Tasting: Deep Ellum Brewing Co.
10/30 Craft Beer Tasting with Lakewood Brewing Co.